Book 30 Days In Advance, Now With TodayTix! In case you missed our recent update, a lot has changed for TodayTix lately. We’ve got a brand new look, a new logo and we’ve added something else designed to help you buy the tickets you want. Since we first launched in the UK, TodayTix has brought exclusive mobile ticket Lotteries, Rush programmes, special events and access to the best prices within a seven day period. Now, you can buy up to 30 days in advance! Want to see Les Misérables in a few weeks? No problem. Have to see Matilda tonight? Book it now! So, whether you’re a last-minute Larry or you like knowing your social calendar is always fully booked, we’ve got you covered. 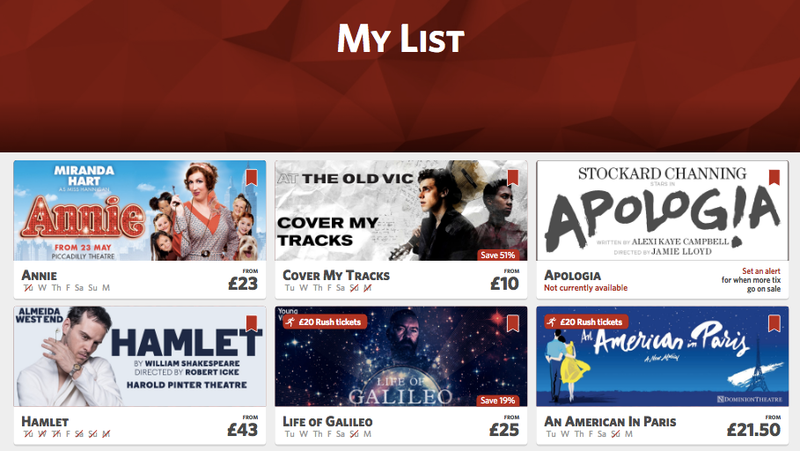 We’ve also added a few more features to TodayTix so you can plan your theatre trips better. Check out what’s new. Bookmark shows you want to see with the My List feature. You’ll never forget what you’ve been meaning to see and you can easily check which days in the current week the show is available and from what price. You can use this feature on both the TodayTix app and website, adding shows to your list by tapping the bookmark icon in the right hand corner of each show. If you’re not sure what you’re in the mood for, let our new Discover page help you decide. While your personalised My List page let’s you save shows you’re already interested, let Discover help you explore different categories and get to know shows a little better. 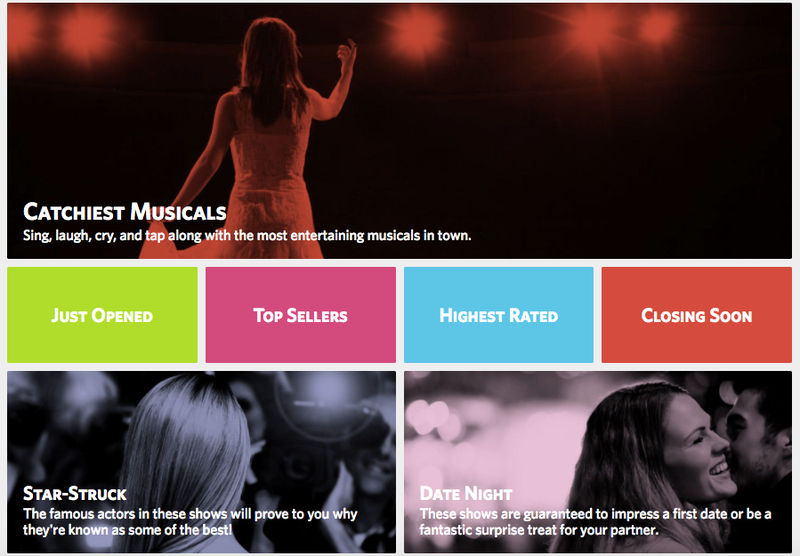 It will give you handy suggestions for a great show for a date night, something that’ll having you singing all the way home or roaring with laughter. Still want extra help on what to see? Check out our Summer guide to London theatre to find out which great shows are opening soon. Want more? Watch and interview with the writer and director of anatomy of a suicide at the Royal Court.